Barbara Fredrickson discusses the well-known, and often frustrating, negativity bias in an NBC article titled, “We’re wired for negativity. Here’s how to keep small setbacks from ruining your day.” Throughout the article, she offers suggestions as to how to curb the glooming effects of the negativity bias so you can avoid ruining your entire day over it; for example, coming up with a personal mantra or filling the remainder of your day with positive distraction. 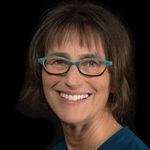 Fredrickson is a member of the Center for Positive Organizations’ Research Advisory Board and Kenan Distinguished Professor of Psychology at the University of North Carolina at Chapel Hill. She has been advancing the science of positive emotions for more than 20 years.